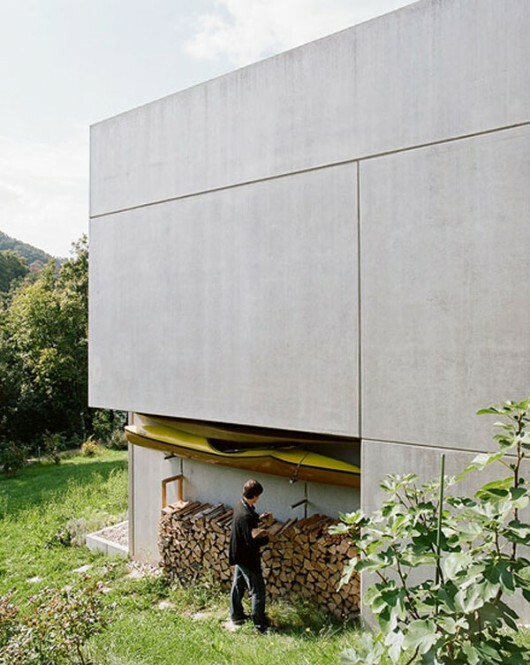 Moinian and Meili Residence | Shelby White - The blog of artist, visual designer and entrepreneur Shelby White. 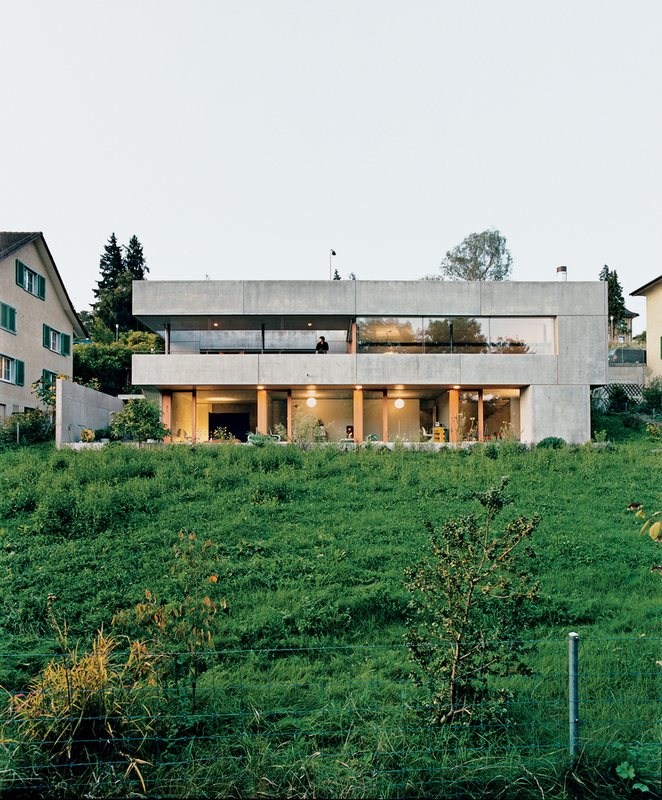 The Moinian and Meili Residence is a Swiss dream home. 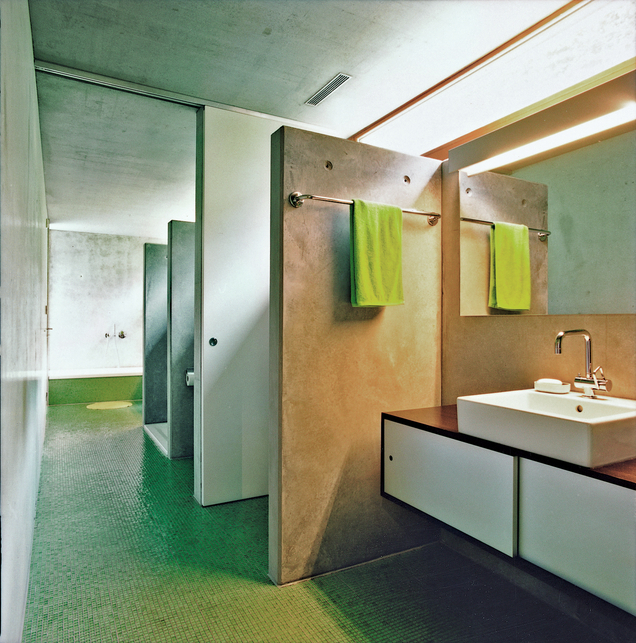 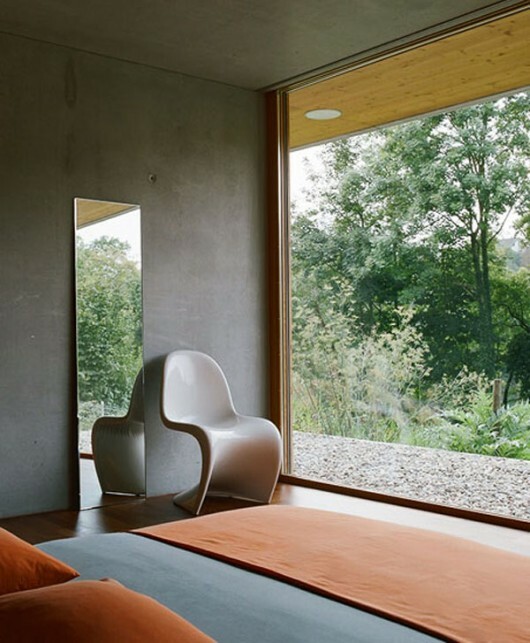 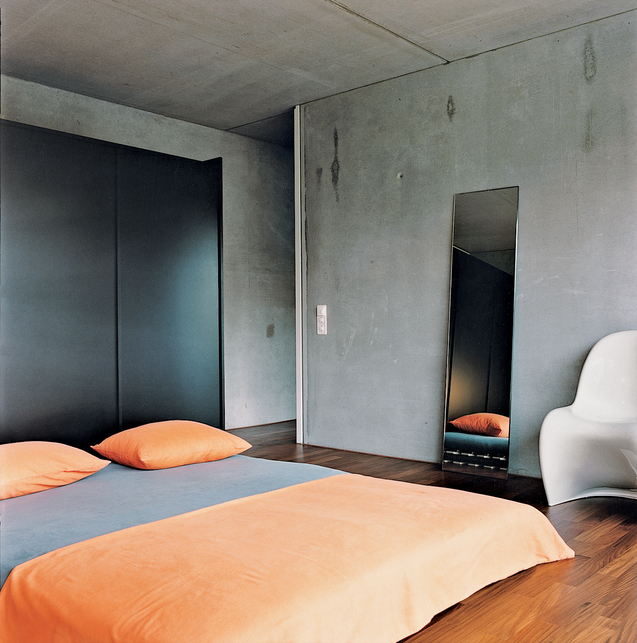 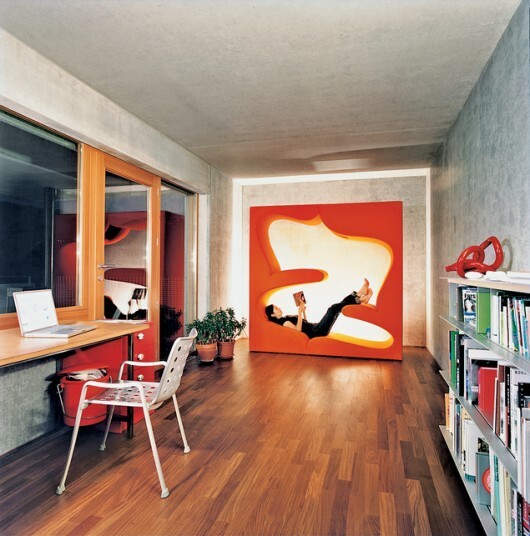 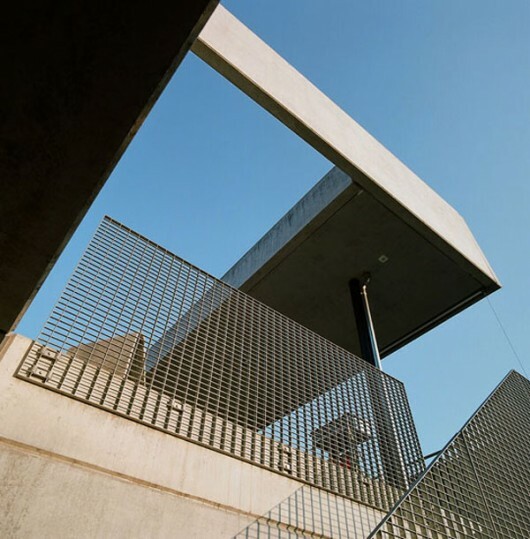 Architect Felix Oesch designed the house for a young family who also shared Oesch’s desire for modern, minimal housing. 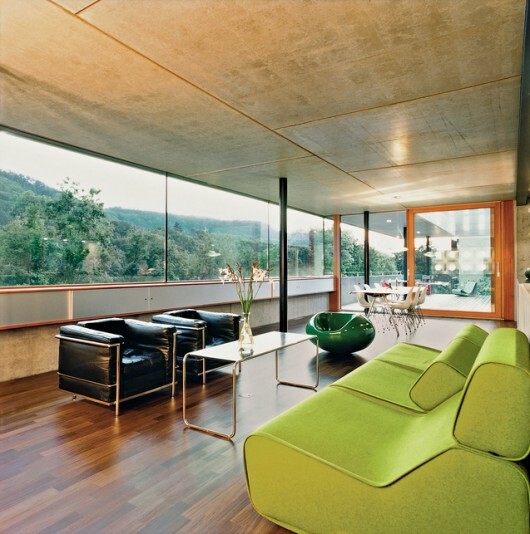 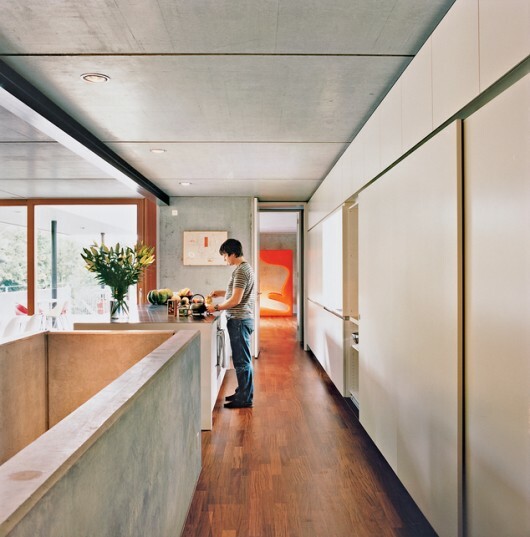 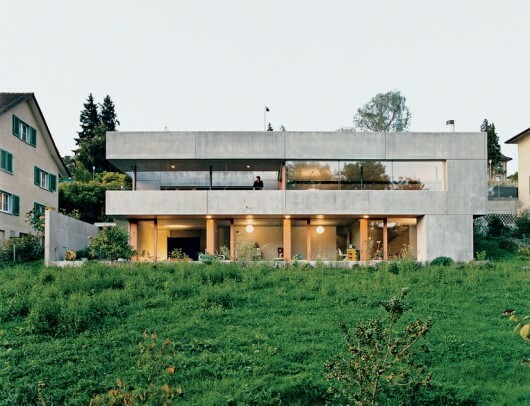 The house is located on a slope in Englisau, Switzerland—a small city just twenty minutes outside of Zurich. 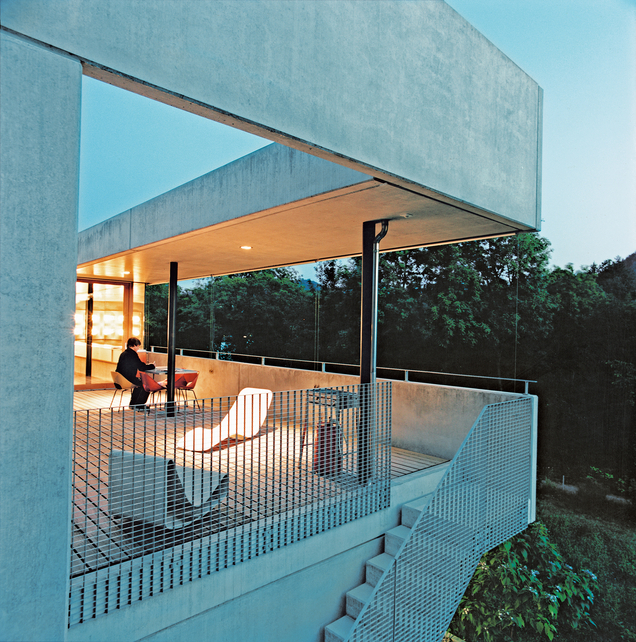 Aside from looking very well designed, the house is also energy efficient. 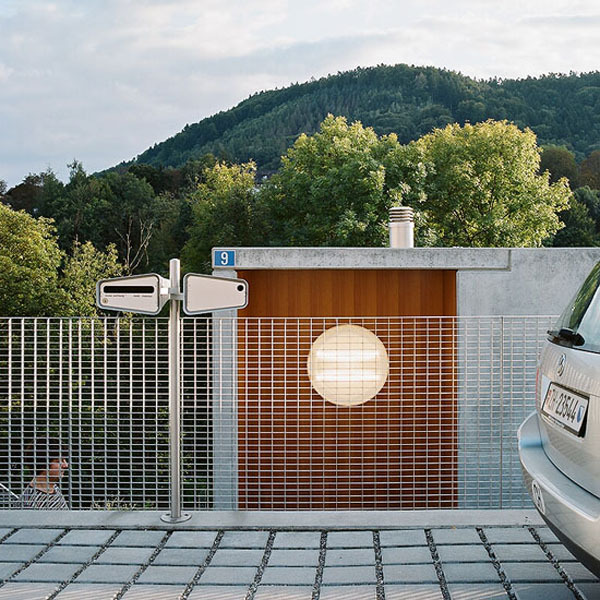 Geothermal energy for hot water and under-floor heating is provided by a pair of 300-foot-deep holes in the ground. Heat is transferred from the ground to the house through a heat pump. 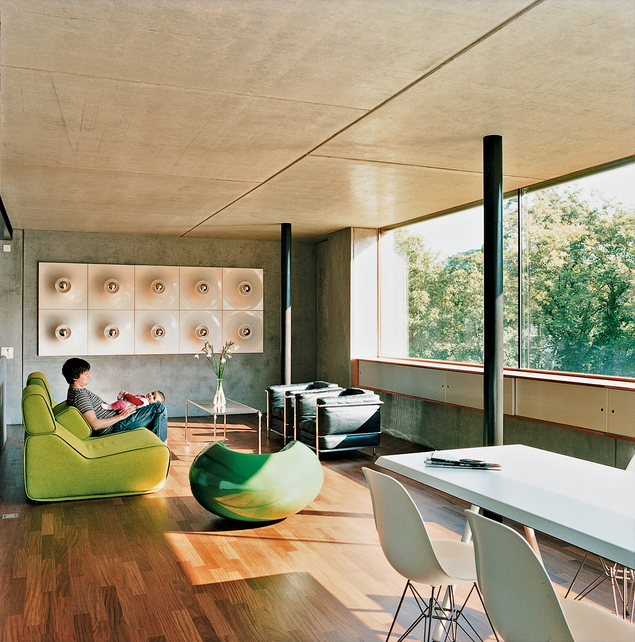 Used air is then taken from the living space and pumped back down through the holes to store its energy. 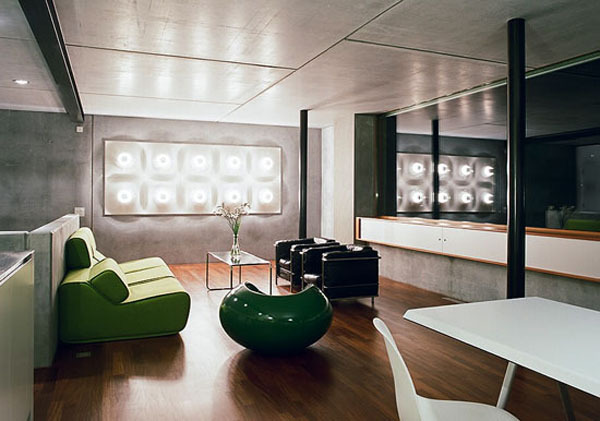 Look closely in these photos and you’ll see that the office area is occupied by Verner Panton’s Living Tower chair for Vitra. 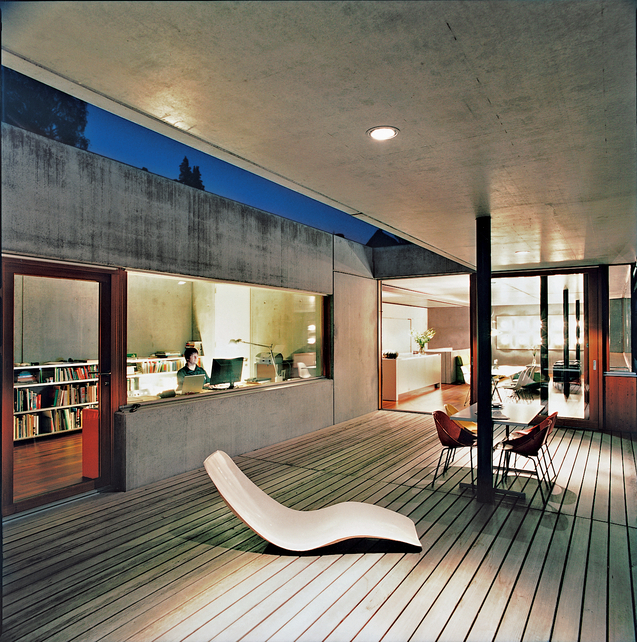 I love the house from all aspects and truly wish to be invited for a weekend sometimes in life!